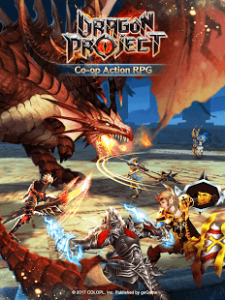 A new action and strategy-based multiplayer role-playing experience, previously ranked #1 in the Japan App Store and Play Store. Greetings from the Kingdom of Heiland, where monsters and mysteries of all kinds lurk. You are a Hunter on a mission: team up with friends to slay monsters, gather precious materials to forge and upgrade your own weapons and armor, then enhance them with Magi to acquire powerful skills. And do them all with one finger, thanks to our easy-to-play, intuitive controls. Ranked #1 in the Japan App Store and Japan Play Store on 4 June 2016 and 5 June 2016 respectively.